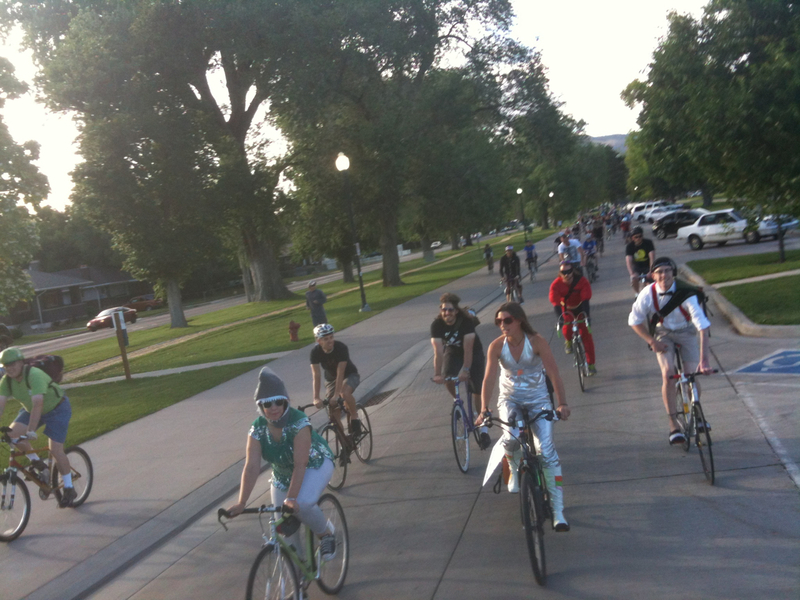 July 6, 2015 – The Salt Lake City Bike Party is a rolling party on bikes. The next event happens on July 10, 2015. We asked the Bike Party crew about the event. 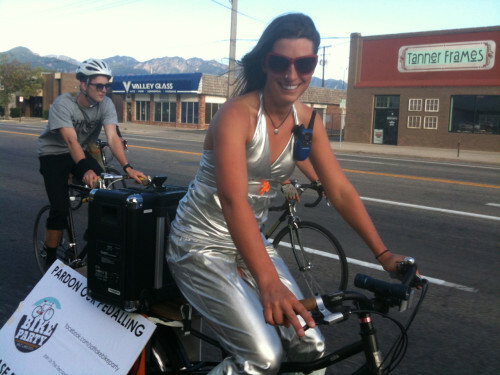 Cycling Utah: What is the Salt Lake City Bike Party? Bike Party: SLC Bike Party is a monthly group bicycle ride through Downtown Salt Lake City. Bike Party: Our ride is open to all ages and all abilities. Our goal to put as many butts on bikes as possible. We do that by offering a safe, friendly, casually-paced ride through SLC. CU: What kind of bike should you bring? BP: Anything you can dream of. CU: What’s the theme of the July 10, 2015 edition? BP: ‘Murica. This ride provides the opportunity for those of us who didn't get quite enought patriotism on the 4th to do it one more time. So dust off the cowboy hats, put some sunscreen on your upper arms, and give those old jeans a quick trim and a second life as jorts. CU: When do the rides usually happen? CU: Is there anything else you’d like to add?